The location is superb, the staff are very friendly. 2 rooms with beds and the extra bathroom is extremely helpful when trying to get ready. 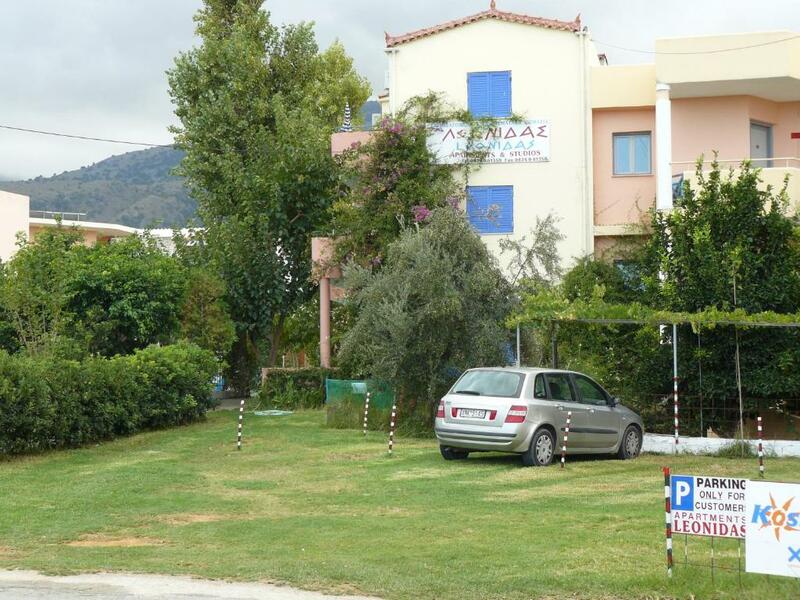 Excellent location being close to both the village centre and the beach. Supermarket, car hire and ATM next door. Very nice private pool, perfect for cooling dip after the beach (water temperature was perfect). Some reviews had written that the pool was in shade at 3 pm but when we were there, parts were still in the sun after 5 pm. Lovely garden which gave nice shade to the ground floor terraces - sea view from upstairs rooms. Very friendly owners and staff. Big spacious rooms with WiFi. Very clean. Great value for money. Would recommend. 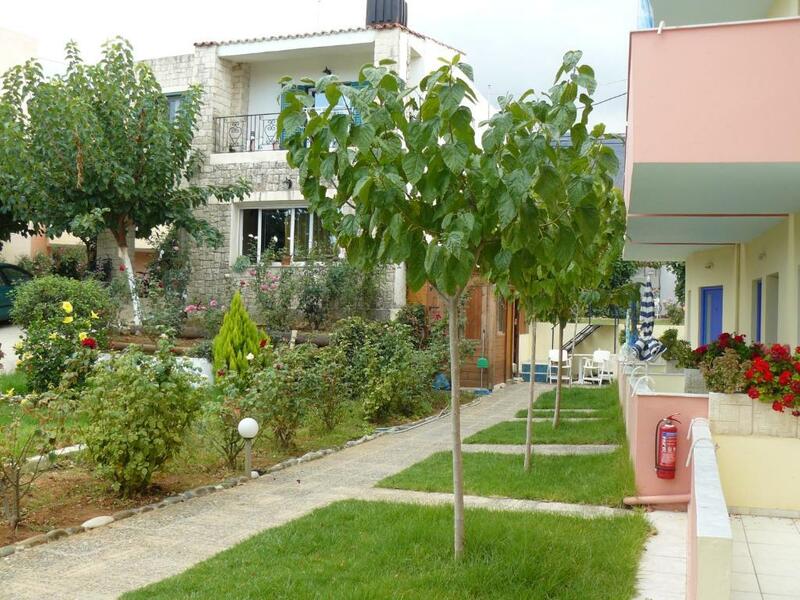 Large apartment with comfortable beds and a good cleaning service. Great pool, even though it was shaded from 15.00. Sehr freundliches und hilfsbereites Personal. 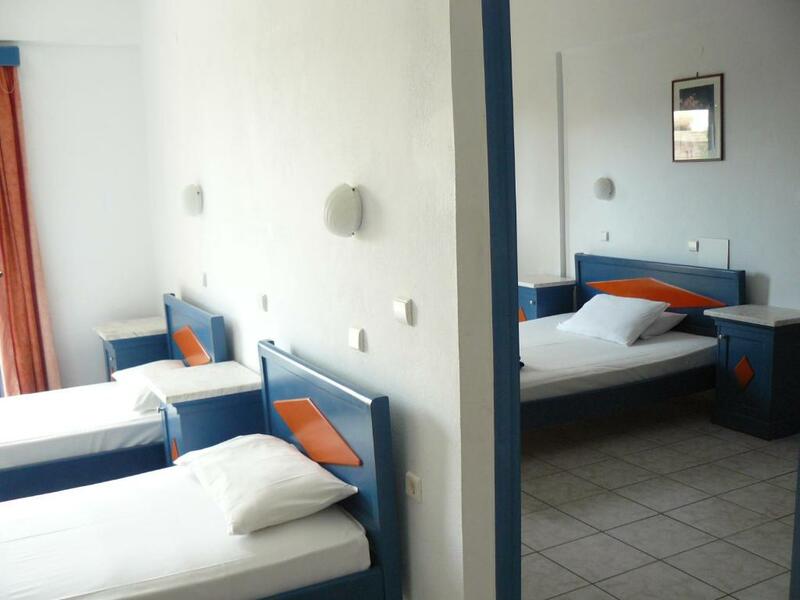 Große Zimmer mit großen Schränken. Badewanne mit Duschvorrichtung vorhanden. Große Terrasse und Parkmöglichkeiten für PKW. Es war sehr zweckmäßig: allerdings waren wir in der Vorsaison dort. Ein freundliches Familienuntenehmen! Sehr schön! Lock in a great price for Leonidas Studios & Apartments – rated 8.3 by recent guests! 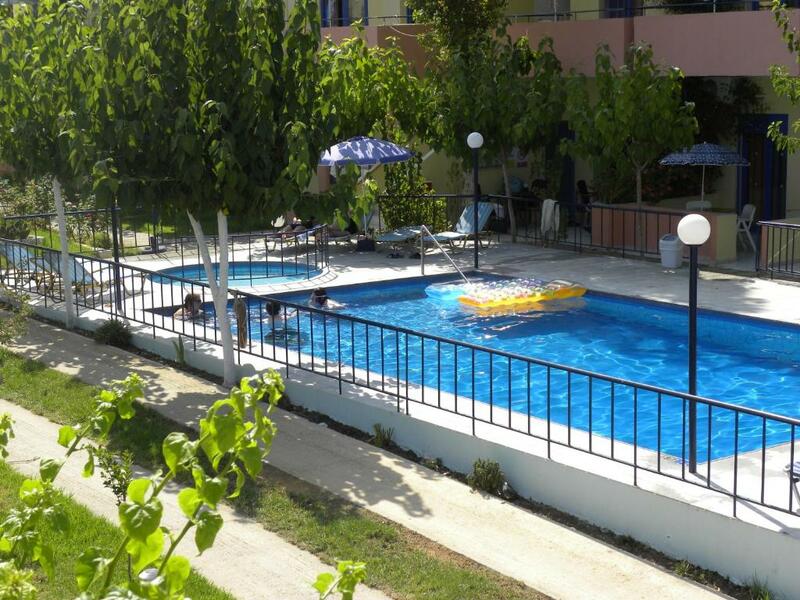 Leonidas Studios & Apartments features an outdoor swimming pool, sun terrace and apartments with a balcony overlooking the sea and garden. 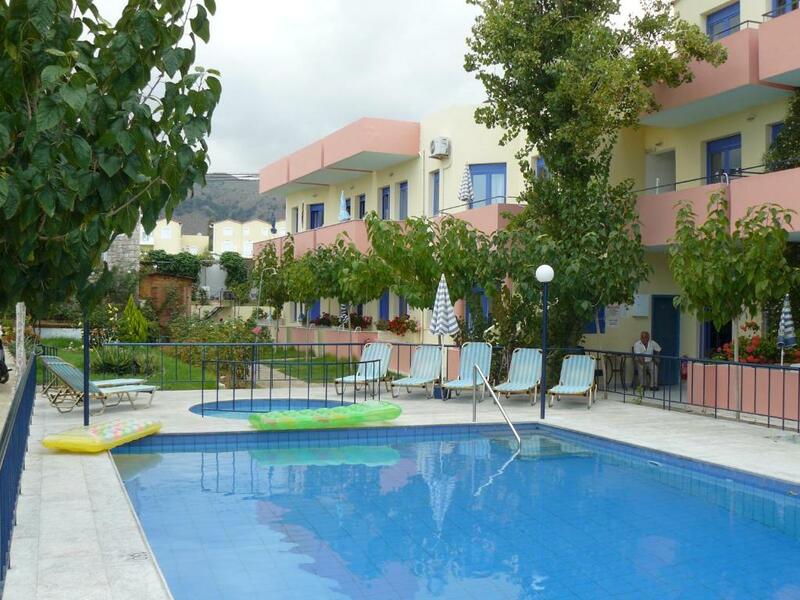 It is located in Georgioupolis in Crete, 350 feet from the nearest beach and 650 feet from bars and restaurants. All soundproofed apartments include a flat-screen TV with satellite channels and a kitchenette with fridge. Each has a bathroom with bath. Free Wi-Fi is offered throughout. 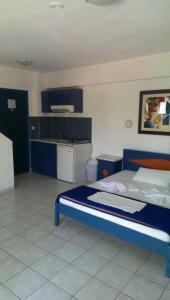 Leonidas Studios & Apartments is located 16 mi from the lively city of Rethymno. Chania International Airport is 28 mi away. The property offers free parking on site. This property is also rated for the best value in Georgioupolis! Guests are getting more for their money when compared to other properties in this city. 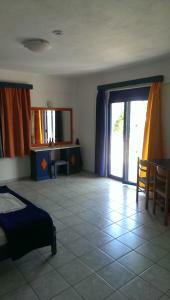 When would you like to stay at Leonidas Studios & Apartments? Studio with bath , flat tv screen / satellite channels / kitchenware - kitchenette with cooking rings / toaster / balcony with pool view / A/C costs 7€ per day / safety deposit box 10€ per week . House Rules Leonidas Studios & Apartments takes special requests – add in the next step! Leonidas Studios &amp; Apartments accepts these cards and reserves the right to temporarily hold an amount prior to arrival. Leonidas Studios & Apartments accepts these cards and reserves the right to temporarily hold an amount prior to arrival. Not having a shower head hook to put the shower head in when showering is annoying as you have to hold it above you to shower, then put it somewhere whilst washing hair etc. A toaster would be useful for breakfast. Nothing really to complain about. Would have preferred a stand up shower but the one in the bath was fine. Kitchen adequate but a bit basic. Would have happily paid say10 euro more for a welcome pack of washing up liquid, some cloths and a tea towel. Our room had a small terrance but it was fine for two people and we were offered a room with a much larger one when we arrived - so our choice! No toaster and very basic kitchen facilities.